Quality you can rely on. Save up to 50% with original XL cartridges. A black HP 350 ink cartridge with Vivera ink gives results in the quality of a laser printer and is suitable for volume printing at maximum savings. This high-yield HP cartridge provides superior print quality and consistent results. For shipping to other EU countries visit this page HP CB336EE No. 350XL. Chcete doručit zboží do Česka? 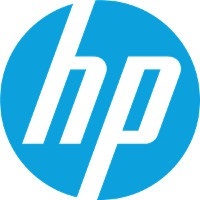 Prohlédněte si HP CB336EE č. 350XL černá. Chcete doručiť tovar na Slovensko? Prezrite si HP CB336EE č. 350XL. Magyarországra történő kiszállításért tekintse meg ezt a termékoldalt: HP 350XL (CB336EE).